As I was going thru some pictures for our upcoming year in review, I noticed that there was a restaurant that we forgot to write up, not because we didn’t like it, but because our busy travel schedule got in the way. And that, dear readers, is how the Porch Light Latin Kitchen becomes our last review of 2016. 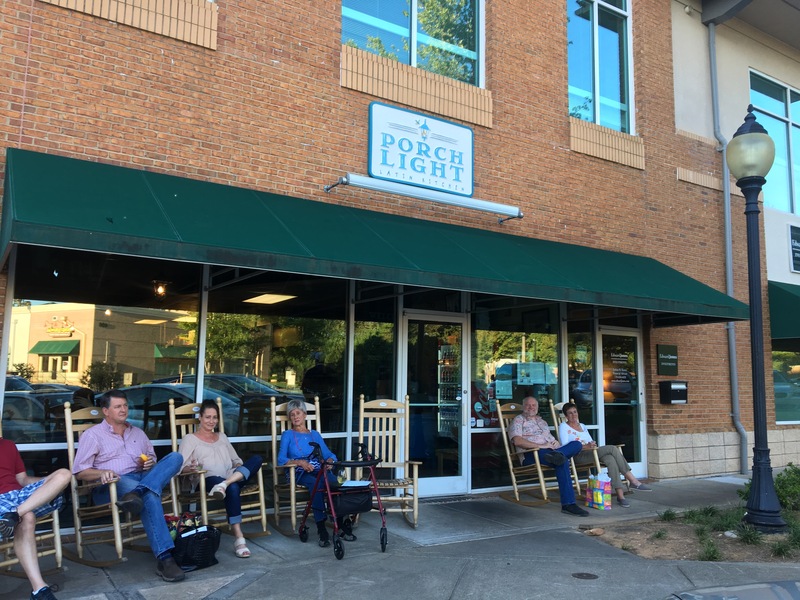 We are in beautiful downtown Smyrna, where you can actually sit on the porch before you go into the restaurant. Tonight, we are joined by Date Night regulars Claudia and Randy, who are gen-u-ine, taxpaying Smyrnans. The interior of the restaurant can only be described as “tight”. Chef Andre Gomez has a hit on his hands and could probably use more space. Make friends with the table next to you because they will probably be listening in on your conversation. Although our table is ready, it’s a beautiful night and we have our drinks outdoors. 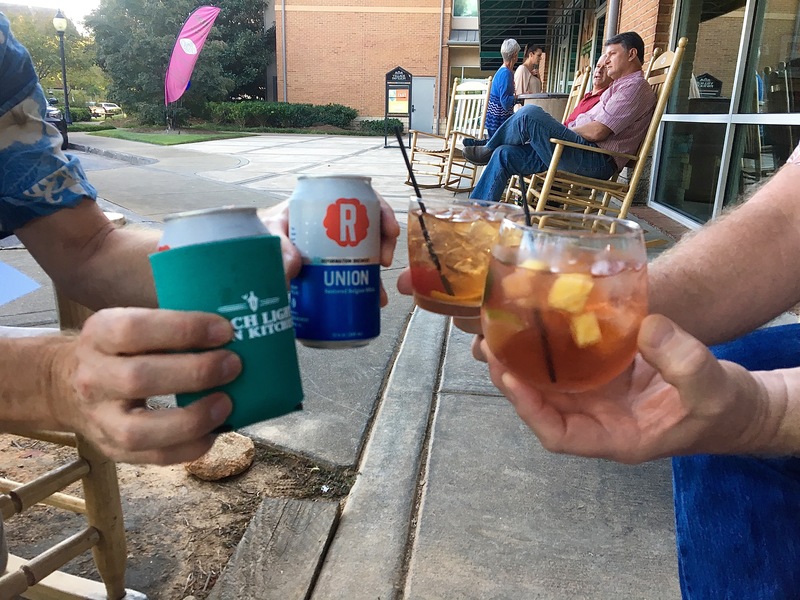 Our pals get mixed drinks and we patronize our current favorite brewery, Reformation in Woodstock. Reformation Union is a lovely Belgian ale that is light in color and won’t weigh you down with lots of alcohol. We could probably stop right here and tell you about the one thing you must order at Porch Light. We won’t, though, and we’ll make you read some more before we show you the undisputed hit of tonight’s meal. 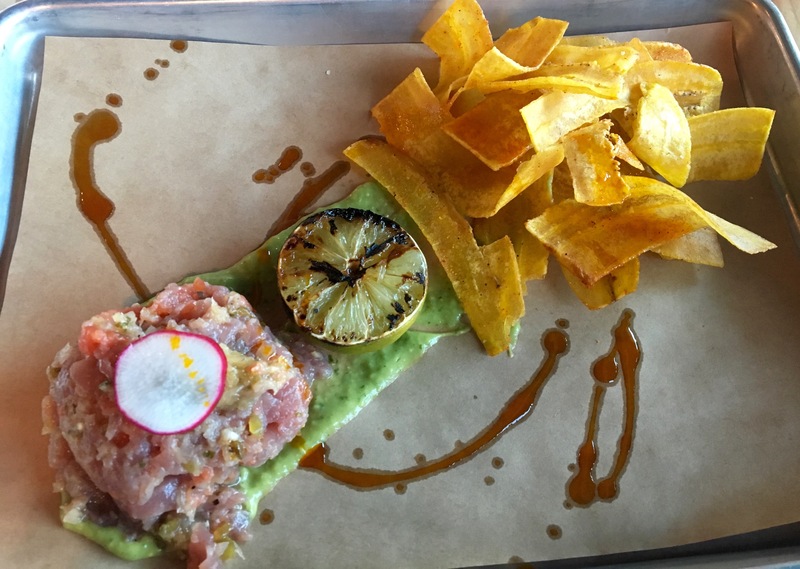 First, let’s have the tuna ceviche. They serve it on plantain chips instead of tortilla chips. Very yummy. Randy gets the beef short rib, which they glaze with Malbec. It’s nice and tender, but needs something else on the plate with it. 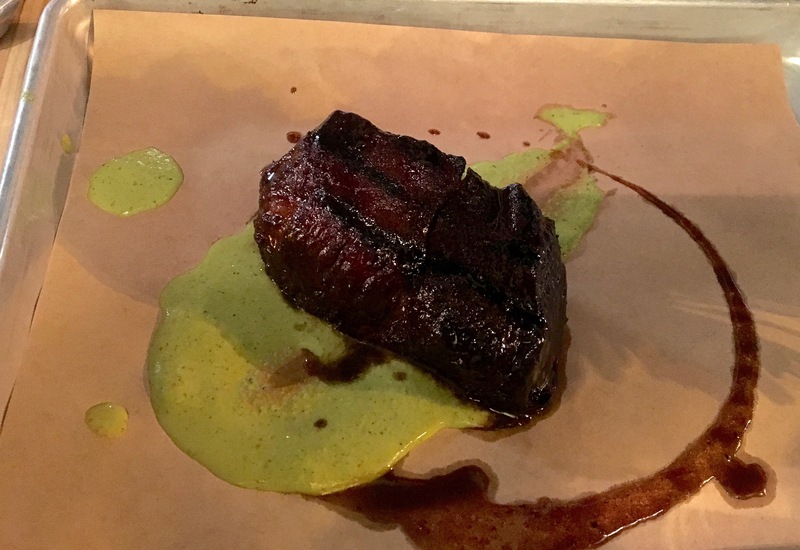 It’s just a hunk of meat, and not that big of a hunk for $24. 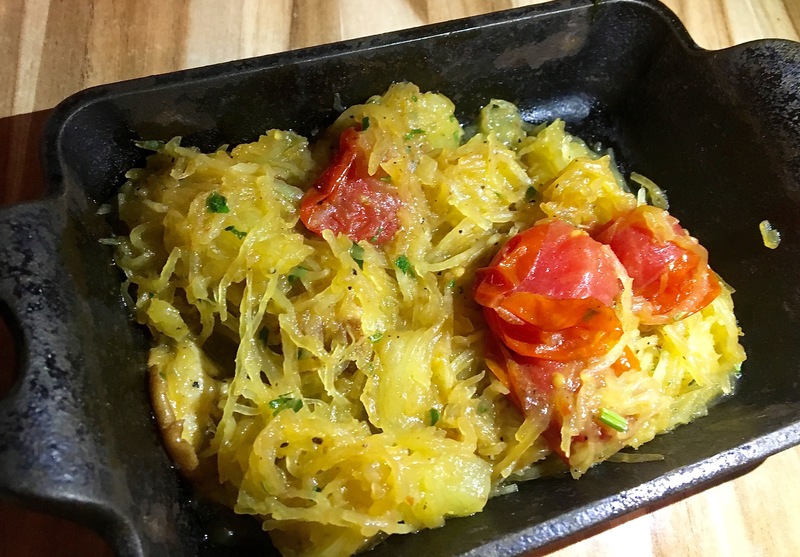 Luckily, the seasonal vegetable is spaghetti squash, so that fills in some of the space. 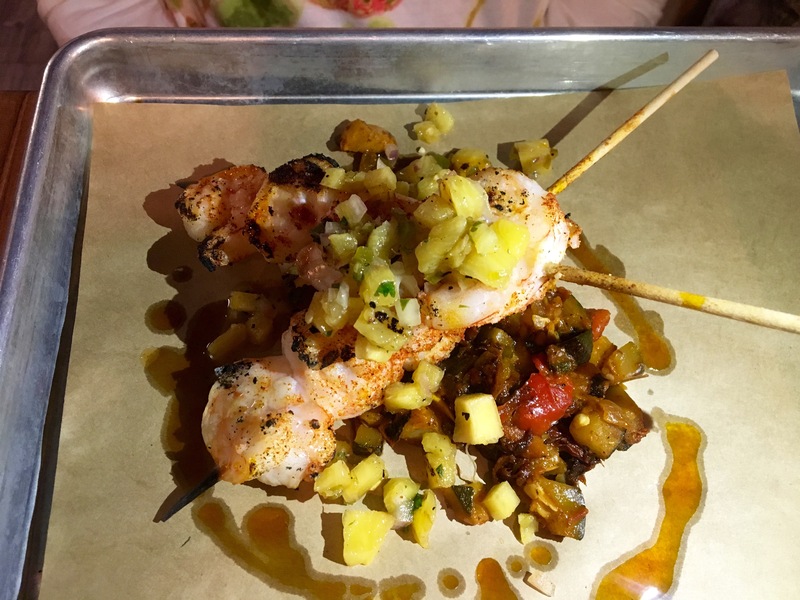 One of the specials tonight is grilled shrimp skewers, which Claudia orders. It’s much more visually appealing than the short rib, and she enjoys the dish. You have been very patient, and here is the one thing you must order when you visit Porch Light. That, my friends is a pork chop. 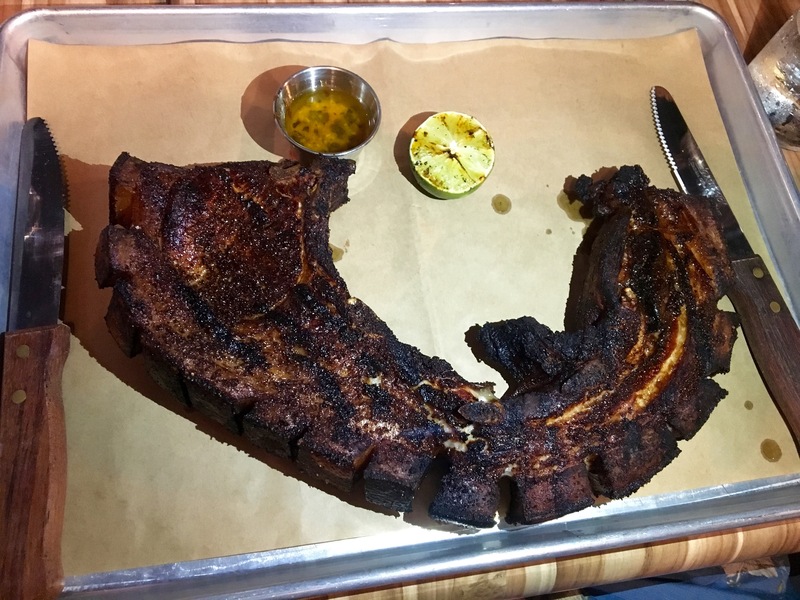 It’s unlike any pork chop we have seen in a restaurant. It’s cut differently so you get part of the rib and the pork belly in each serving. Outside, it’s fried, crispy, seasoned with just the right amount of spices. 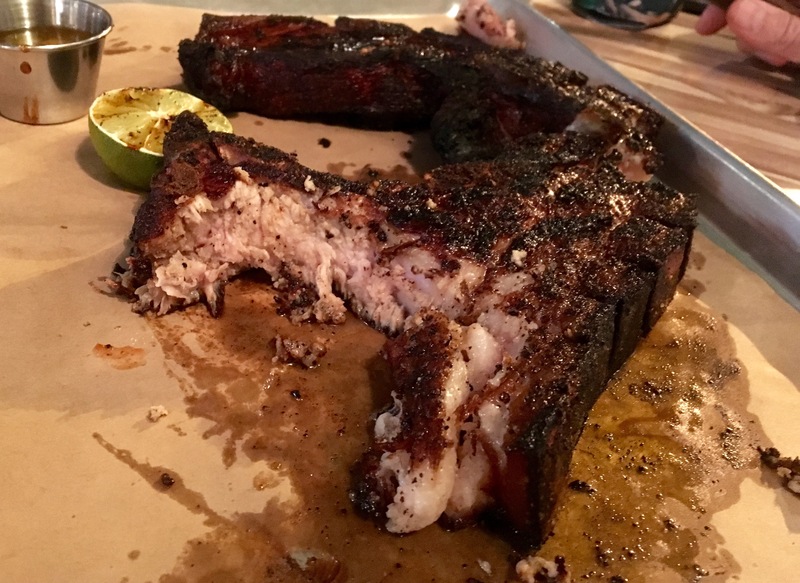 Inside, it’s tender and juicy and cooked by Chef Gomez himself, who stops by to make sure we like it. Boy, do we! Eve thinks it’s the best pork chop she’s ever had, and she’s had a lot. I can’t think of one that’s better, although the chop at The Peach and the Porkchop is very close. This one is so non-traditional that Chef Gomez gets the nod just for his originality. Best of all, it is big enough to split with your date. One of us is (still) celebrating a birthday, and they bring a dessert assortment to end our meal. The pork chop is a hard act to follow, but it’s nice to leave such a good meal on a sweet note. 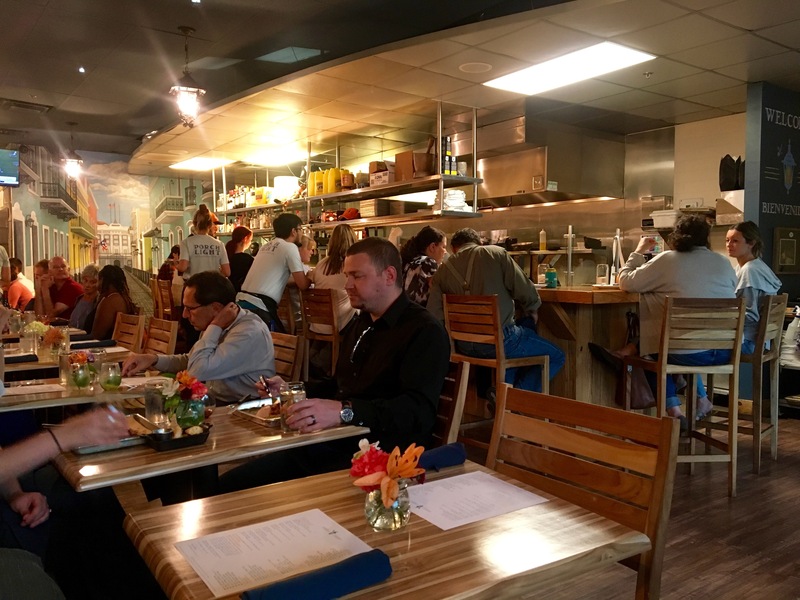 The Bottom Line on Porch Light Latin Kitchen: Exciting and different. 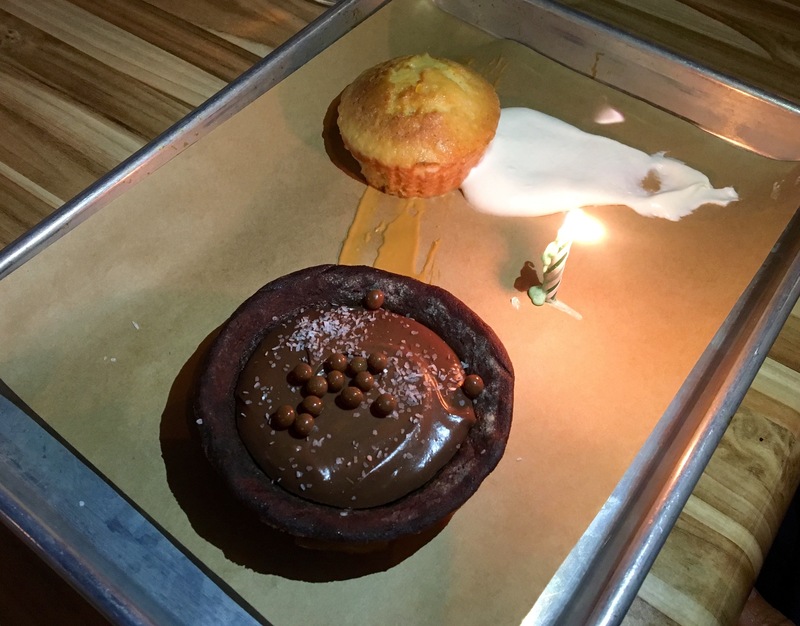 Chef Gomez is not afraid to take chances, and we can’t wait to go back. They do take reservations, and with limited seating and the crowds we saw, you will probably need one.